Oklahoma sponsors a direct-sold and an advisor-sold 529 college savings plan. Both offer unique tax benefits as well as bonuses for Oklahoma residents, who can make tax-deductible contributions or claim certain tax credits. The $300,000 maximum contribution limit is pretty middle-of-the-road compared to those of other states. The advisor-sold option offers the guidance of an expert financial advisor who can tailor an investment portfolio based on your unique goals and needs. Of course, this option may carry larger fees for expert guidance. The direct-sold option offers portfolios designed for all kinds of savers from inexperienced investors to expert traders, but you can still find similar investment options carrying lower overall fees with other plans. While college tuition prices alone are expected to keep increasing, parents are looking for new ways to slash the college price tag and invest in the future education of their children. The Oklahoma College Savings Plan (OCSP) allows any U.S. resident to start saving,while enjoying several tax benefits. Oklahoma residents in particular can deduct as much as $20,000 in contributions to the plan from their state taxable income per year. The plan allows account holders to contribute toward various investment portfolios designed for all types of savers. How Do I Enroll in The Oklahoma 529 College Savings Plan? You can open an account within 15 minutes online with a minimum opening balance of $100. Afterward, you can contribute up to $300,000 in recurring transfers of as little as $25. You can also set up per-pay-period payroll deductions of as little as $15. You don’t need to meet any income requirements to enroll. But you do need to be a U.S. citizen or resident or alien, have a valid Social Security number or tax identification number and be at least 18 years old. How Much Does the Oklahoma 529 Plan Cost? The OCSP charges only a total annual asset-based fee that includes a program management fee and underlying mutual fund fees depending the portfolio in which you invest. You don’t pay this out of pocket, but instead it’s factored out of your account balance. The total annual asset-based fee for OCSP portfolios with the exception of the guaranteed portfolio currently ranges from 0.35% to 0.78%. The guaranteed option does not carry these fees. When you invest in the OCSP, your earnings grow tax-deferred. This means the money you collect in the market won’t be taxed as long as it’s invested and it can make the most out of compound interest. In addition, your withdraws will be tax-free as long as you use them on qualified higher education expenses such as tuition and school supplies. While every account owner would enjoy these benefits, Oklahoma residents get a bonus. Married Oklahoma residents filing jointly can deduct up to $20,000 in contributions to the plan from their state taxable income each year. Single filers can deduct up to $10,000. You can deduct contributions in excess of these limits from state taxable income throughout the next five years. But while 529 college savings plans offer several tax benefits, they can also penalize you for not using the 529 plan money as intended. So even though you can technically withdraw 529 plan funds at any time as an account owner, it’s not always the best idea. Taking money out for anything other than a qualified higher education expense is known as a nonqualified withdrawal. It may be subject to federal income tax and a 10% penalty. In addition, you may have to pay back previously claimed tax deductions. You can also take advantage of specific gift-tax exclusions which allow you to make a single contribution of $75,000 toward your 529 plan as long as you stop making additional ones. As of 2018, contributing $15,000 toward any individual would have triggered a gift tax. So you can transfer $50,000 in one shot and the IRS will treat it as $10,000 contributed per year. Therefore, you can make additional contributions of up to $5,000 each of those years and still avoid gift tax. If you’re new to the investing world, you may be interested in the age-based portfolios the OCSP offers. These portfolios automatically change their asset-allocation over time. The general objective of these portfolios is to invest more in growth-oriented securities like stock funds when your child is young in order to aim for the strongest return. As your child gets closer to college age, the mix will change to become less risky by investing more in generally safer investments like bond funds. This is the path that age-based portfolios follow overall. However, you have the choice to pick from one of three tracks based on risk level: conservative, moderate and aggressive. So if you pick the aggressive option, your age-based portfolio would invest 30% in stock funds and 45% in bond funds. Its conservative counterpart, on the other hand, would be invested entirely in bond funds and a funding agreement, which works similarly to a savings account. But if you have a general idea of what type of asset-allocation you want, you may be interested in multi-fund or single-fund portfolio options. Multi-fund portfolios invest in various asset classes while sticking to a specific risk level and objective. However, the asset mix is designed to stay constant over time unlike the age-based options. Single-fund portfolios invest entirely in a corresponding underlying fund and performance will depend solely on that fund. If you are risk-averse or you’ve been saving for a while and believe it’s time to protect what you’ve earned, you may be interested in a guaranteed portfolio option that invests solely in a funding agreement that TFI issues. The The minimum effective annual interest rate for this option won’t dip below 1% or go above 3%, according to the latest OCSP information. Regardless of which portfolio you end up investing in, federal law allows you to change options twice per year. It’s also important to review your investments periodically. How Do I Withdraw Money from The Oklahoma 529 Plan? You can request a withdrawal online or by mail. If you’re requesting a withdrawal or distribution online, make sure the plan has the current following information on file: your checking or savings account number, your bank routing number, you name as it appears on the account and your bank’s name and phone number. You can request that funds be sent to your banking or savings account, that of the beneficiary or directly to the school. You can also request a withdrawal by check and download a withdrawal request form online. With the help of a financial advisor, you can open an account with the Oklahoma Dream 529 plan. The plan, which the state of Oklahoma sponsors, offers all the tax-benefits of the direct-sold plan. However, this plan offers 18 portfolio options with underlying funds that established financial services firms like Allianz Global Investors and PIMCO manage. These portfolios include age-based options that automatically change their asset mix to become less risky as your child approaches college age. An advisor can also tailor your investment mix with individual portfolios based on your unique financial goals and risk tolerance. There is a wider array of investment options for you to choose from here than with the direct sold-plan, but the expert guidance from a financial advisor will cost you with higher expense ratios. How Do I Enroll in The Advisor-Sold Oklahoma 529 Plan? You can open an account through a financial advisor who can help you choose an investment option and share class based on your savings goals and individual financial situation. How Much Does the Oklahoma Advisor-Sold Plan Cost? This type of plan is called an advisor-sold 529 plan, which works a bit differently than its direct-sold counterpart. 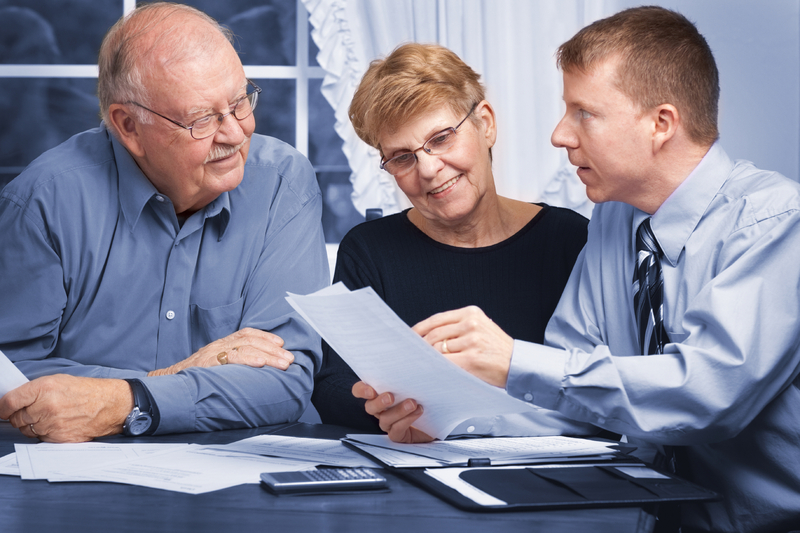 These plans typically carry additional fees to compensate advisors and others involved in the management of the plan and your investments as well as the marketing of the program. Each investment option in this advisor-sold plan charges a total annual asset-based fee that ranges from 0.91% to 2.47%. However, these fees don’t include sales charges you might face depending on the share class units you invest in. For example, share class A units charge initial sales charges which are taken from your contributions. Class C units charge a contingent deferred sales charge if account holders make a withdrawal within 12 months of a contribution. There is also an annual $20 account maintenance fee, which you can get waived under certain situations. Certain sales charges may decrease or be waived in certain circumstances such as a certain account balance. So, be sure to speak with your advisor about which investment options best suit your needs, all the fees involved and how you may reduce your costs. The advisor-sold plan sponsored by Oklahoma state enjoys the same benefits as its direct-sold plan. This means your earnings will grow tax-deferred and withdrawals for qualified higher education expenses are tax free. Oklahoma residents can also deduct contributions up to the same limits and under the same circumstances from their state taxable income each year. In addition, the plan offers the same gift-tax and estate-tax exclusions. Speak with your financial advisor about these benefits and how you may make the most out of them. But even though you’ll enjoy the same tax benefits as the direct-sold option, you may also face the same tax consequences for withdrawing money for nonqualified expenses. Speak to your advisor about any type of withdrawal and how it may affect your tax situation. With the help of a financial advisor, you can build an investment option with one or more individual funds based on your risk level. You can also choose an age-based portfolio, which will automatically change its asset mix over time to invest in generally safer investment slike bond and money market funds as your beneficiary approaches college age. With the advisor plan, all age-based portfolios follow this track. You don’t have a risk-based track option like you do with the direct-sold plan. In addition, you can contribute toward static portfolios. The asset allocation for these portfolios is meant to stay constant throughout time. You can choose one based on your desired asset mix, risk level and financial objective. How Do I Withdraw Money from the Oklahoma Dream 529 Plan? You can request a withdrawal online. But you might want to consult your advisor first. He or she can help you make the right decisions to cover qualified higher education expenses so you won’t face a tax penalty. If you’re not sure how to choose a financial advisor, you can use our SmartAdvisor matching tool. By answering some simple questions, you’ll be linked to local advisors who can meet your specific needs. You do not have to live in Oklahoma to invest in its 529 plan. Take a look at these other states' 529 plans.